Obviously it wasn't clearing up! So I scheduled a doctor's appointment for him that morning. He really doesn't go to the doctor very often, and he still goes to a pediatric center. I don't think you can really tell in the next picture, but I felt like he looked like a giant there! 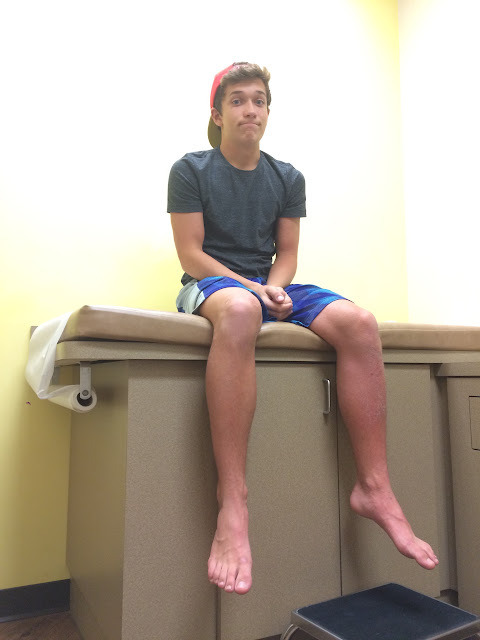 The exam table was set so high for littles, so he ended up being incredibly tall. Anyways, the doctor prescribed steroids and warned us that he might be mean and hungry. Though he hasn't been just horrible, he has been a bit unreasonable a few times. We've jokingly referred to him as Roy (from Arrow) and Hulk! ;) I'm happy to report that, nearly a week after steroids, it has mostly cleared up! 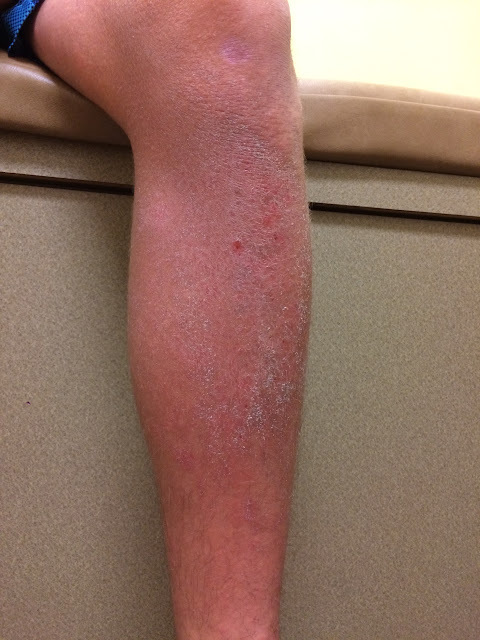 Have you ever had poison ivy? If you've had it more than once, has it gotten worse every time? Oh no! 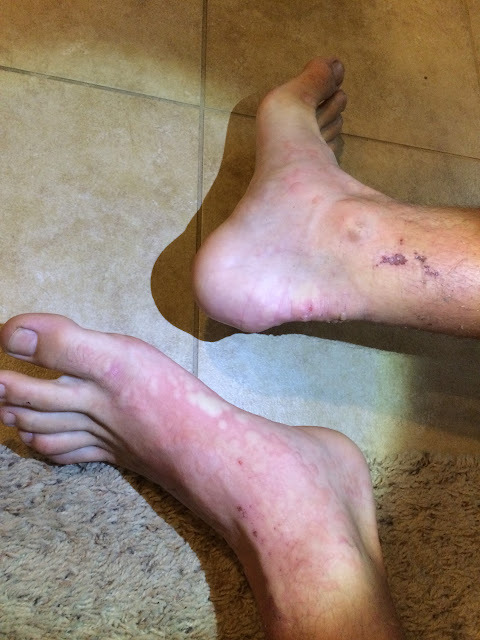 I have never reacted to poison ivy, but most of my family members have. My mom highly sensitive and she's been on steroids for it before. Poor Cody :( I'm glad it looks like he is on the mend.